Christianity in America and much of the world is not God-Centered. It's centered on needs, success, wholeness, or spiritual gifts. Although all these issues are important, they are not to be our primary focus, but rather a by-product of genuine spirituality. Emotional, spiritual, and physical blessings are a sure overflow from God-centered Christianity. The church, having neglected her diligent pursuit of the knowledge of God, sometimes referred to as intimacy with God, has lost her joy and affection and the consciousness of His divine presence. She has lost her spirit of worship and her sense of awe and adoration. She has replaced encountering God with ministry success and substituted activity for heartfelt relationship with God. Last week we discussed unbiblical goals. 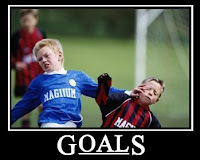 I think this except describes the dangers of unbiblical goals well. It is not that these other things are bad; they just distract from the ulitmate goal of developing a heart for God. This week we went over Chapters 5-6 of Shepharding a Child's Heart, which were about Unbiblical Goals. We all have goals for our children even if we cannot fully articulate what they are. Generally these goals are whatever we define for success in our own lives. How do you know if you are successful? Do you need a lot of money, plenty of friends, a few diplomas on the wall? Our kids will pick up on this and more than likely pick up the same measures of success. As Christians our ulitmate goal should be to glorify God and enjoy Him forever. God has created your children for a specific plan in His kingdom, so we need to prepare them for success in whatever God's role is. The next couple weeks we have asked each couple to come up with a specific goal for their children. Allison mentioned possibly coming up with anacronym using your last name. Whatever you do, make it personalize for your family, and let's help our kids succeed for eternity. Image courtesy of Despair, Inc.
Christmas is approaching quickly. Maybe I am just trying to get the focus off what other people are celebrating next week. :) But it is actually not to early to bring this up. One thing Allison and I do every year is put together an Operation Christmas Child Shoebox. Operation Christmas Child is an ministry of Samaritan's Purse where people put together shoeboxs full of presents for children who would proabably not get anything this year. You can select the age and gender of the child you put the box together for. Our plan is to get our kids involved to give them a heart for kids who are in need.This year we put together boxes for girls Rachel's age so she could relate more to putting this together. It was a lot of fun walking through the store and whatching her think through it. Last week we discussed verses we could pray for our children. Sara has scanned the pages that Anne Wright put together, which I will email to everyone. Here I have posted a sheet that Sara's mom put together. The great thing about praying through Scripture is that we can count on it being God's will for our kids. I understand the notes are small. The blog has a littled width allowed, but since it is a PDF you can save it to your computer or print the page to view easier. If anyone not in the class would like a copy of Anne's notes, send me your email with a note about wanting the "What to Pray for Your Children" notes to our Submit a Question page. For some parents this list is their only measure of success, but we need to remember we are called to a higher standard. 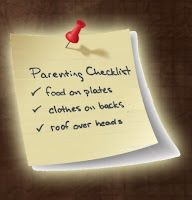 God has given us authority to parent out children; He has placed us in charge. Because we are in charge we have a responsiblity under God to lead our children into holiness and righteousness for their own good. When we shirk our responsibility or discipline our children to make them more compliant to our desires we mismanage this most important resource God has given us for out joy and our own healing. Today we got in a great discussion not about how to discipline our kids, but about keeping our own attitudes as not to interfere with our children responding to God. I have posted the notes for You Are In Charge for those who may have missed the class. As I mentioned in class today, Tedd Tripp will be in Winston Salem this coming weekend, October 24th - 25th. He will be giving a conference a Twin City Baptist Church on Ebert Street off of Silas Creek Parkway. The conference costs $30 per person and $50 per couple. Friday evening will be going over the background of the book, and Saturday will talk about shepherding your child at different age stages. I am sure it will be good if you have time to go. Next weekend there are two events local to Winston Salem that both could be a lot of fun. 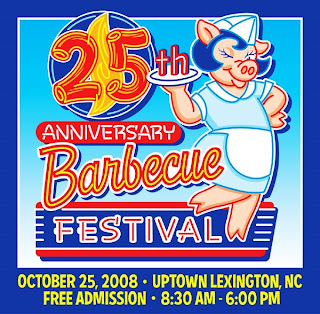 The first is the Barbecue Festival in Lexington. Travel and Leisure magazine rates it as on the of the top 10 food festivals in the U.S. It will be all day Saturday, October 25th. They will have six different stages for entertainment and of course barbecue to be had. Go to their website at BarbecueFestival.com for more on directions and entertainment schedule. 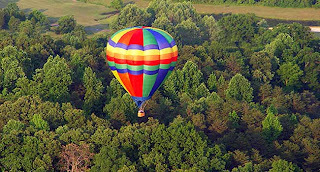 The other event is the Carolina Balloon Fest in Statesville. They will have over 50 hot air balloons with mass ascensions and a kid's fun zone. This one does have a cost as it is $8 per person but kids 5 and under go free. Images courtesy of each event's website. Here is another daily reading from John Eldredge. This one speaks to the last blog post perfectly by phrasing God's calling from our hearts in another way. It is possible to recover the lost life of our heart and with it the intimacy, beauty, and adventure of life with God. To do so we must leave what is familiar and comfortable—perhaps even parts of the religion in which we have come to trust—and take a journey. This journey first takes us on a search for the lost life of our heart, and for the voice that once called us in those secret places; those places and times when our heart was still with us. The pilgrimage of the heart leads us to remember together what it was that first engaged us in deep ways as children: “. 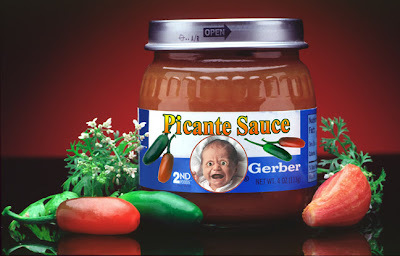 . . anyone who will not receive the kingdom of God like a little child will never enter it,” said Jesus (Mark 10:15). Our journey will take us to explore the hidden questions of our heart, born out of the stories of our lives. It is only by leaving home and taking a pilgrimage that we will begin to see how our own stories are interwoven with the great Romance God has been telling since before the dawn of time. It is on this pilgrimage that we begin to see that each of us has a part in the cosmic love affair that was created specifically with us in mind. Last, this pilgrimage brings us to the destination, set within all of our hearts, which in some way we have known, longed for, and been haunted by since we were children. I'm guessing due to Tony's comment last week, everybody stayed home to catch up on reading Shepherding a Child's Heart. Yeah, it was a strange week, but I am hoping nobody had the stomach bug that was in our family last week. Blah. Suffice it to say, we skipped the lesson for the week, but we do have the notes for Chapter 4: You're In Charge posted if you want to get a head start for next week. One thing we did talk about was how Shepherding a Child's heart speaks to our relationship with God. The whole idea about the importance of our children's hearts are just as important about our own heart. For those who haven't gotten there pumpkins for the Fall, here are some local places to go. Pumpkin Patches in Winston Salem and Advance make great pictures with your kids. We have been taking Rachel for three years now and we love the pictures we get. Hidden Horse Farms in Advance. The other two are just pumpkins in a field. This one has more activities. 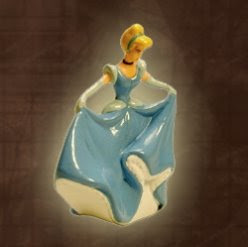 Lori sent along an email yesterday relating to our Princess discussion Sunday. Thanks for passing it along. "I Have Good News, Bad News"
"If I came to tell you a story today and I said we are just going to read a story...and I said once upon a time, there was a princess named Cinderella and Cinderella lived with a happy prince in a happy palace and she lived happily all the time and she lived happily ever after. Nothing ever went wrong so the coming chapters would be about how she redecorated the palace and how she would sometimes welcome people for sumptuous dinner parties and the next party was as good or better than the one previous to it... and how she and her prince liked to dance together and all they did was enjoy each other and they never had an argument and they never had sickness and they never had a falling out. Everyone was happy and they stayed happy and they were happy forever after. The reason that we come up with fairy tales like that is because throughout the history of the world people have been looking for a way to tell the story of the gospel whether they know it or not...because it does make sense that though life has much evil in it and though bad things happen, the Glory of the Gospel is that the goodness of God has shown forth in the midst of a dark world. 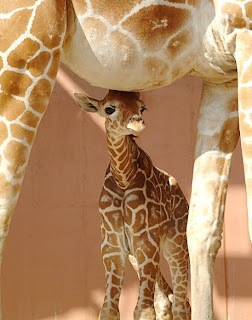 Just as this is baby giraffe is aware of his mother's presence and protection, we want our children to be aware of God's. 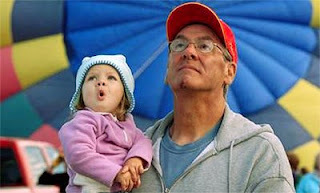 Every child is going to worship something, whether it is us as parents, themselves, princesses, toy trains, or God. Our goal is to point them to know their ultimate source of protection and life. We do this by the shaping influences we put in their lives (going to church, teaching songs, praying before bed), and we do this by modeling it in our own lives, which technically is still a shaping influence. We are not going to be able to make this happen for our children, but through prayer, consistency, and God, our children will gain a deep love of God. You might have thought that I tipped Pastor Alan in order to get his sermons to coincide with the last couple classes. Today's sermon was perfectly aligned to today's class. When our children have a correct Godward Orientation they will know that they are blessed. When they know they are blessed, they are free to be who they were created to be. When the live out of who God created them to be, they will be successful. If you missed today's sermon, go to "The Secret of a Fruitful Life" (removed - go to Reynolda Church's online sermons for most recent sermons). My guess is that next week's sermon will not follow the chapter as closely as we start to dive into discipline. We had some great discussion and examples about how this can play out. While we might not all lead our children to take fishing trips with Jesus, this is a wonderful example of bringing a relationship with Jesus to your child's life. They get to experience that Jesus is not just a character in a story, but He is available all the time. Here are the notes for this chapter's class: Godward Orientation. The Chili Gala was a glowing success. Thank you to Mike and Lisa for having everyone over to their home. There was plenty of food to be had and lots of room for the kids to play. We even had some inter-family friendships budding. I wanted to say romances, but since one of the girls is my daughter, I have to say she is much too young. 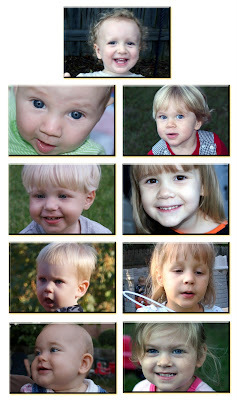 For all the parents who were there, here is a little collage of the beautiful children. 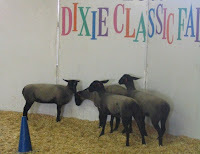 The Dixie Classic Fair is Here! Now some of you might not be from around here, but the Dixie Classic Fair is a perfect local activity for you and your kids. We love to go to event the fried Snickers, community charities bar-b-que, and elephant ears. We also like to take Rachel to see all of the animals - sheep coraling and pig racing. This will be Elizabeth's first trip to the fair, but we are looking forward to it. The fair is generally opened from 11:00am - 10:30pm each day from 10/3 - 10/12. It costs $8 for adults (over 12) and $4 for children (6 - 11). If you park in the lot, it will cost $7. The are different days with savings, as weekdays before 1:00 it costs $3 to get in. Wednesday 11/8 you can get in with 5 cans of food from Lowe's Food. And, next weekend (11th & 12th) kids under 7 can read all rides for just $7 from open to 5pm. There are directions to the fair on their site. This blog for the Parents of Preschoolers class at Reynolda Church has ended. Kevin and Allison Shorter moved cross country. This was a wonderful class with wonderful people. They continued to meet after we left, but this blog is no longer maintained. If you like the material here, you may be interested in the Prayer Blog which is managed and written by Kevin.